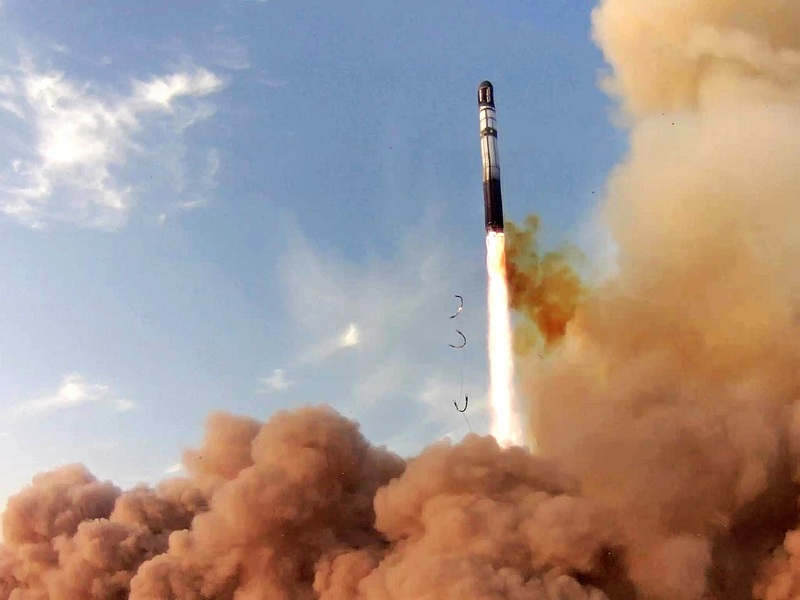 The launch of KOMPSAT-5 satellite was successfully performed by RS-20 rocket (Dnepr Launch Vehicle) from Yasny Launch Base, Orenburg region, Russia, on August 22, 2013 at 18:39:13 Moscow time 14:39:13 UTC). The launch was executed by the Russian Strategic Rocket Forces of the Russian Ministry of Defense with the support of the Russian and Ukrainian companies, which are part of the ISC Kosmotras industrial team. The satellite has been injected into its target 550 km circular low Earth dawn-dusk orbit. KOMPSAT-5 has been designed and built by Korea Aerospace Research Institute (KARI), a government-funded research organization located in Daejeon, South Korea. The satellite utilizes a modular design consisting of Payload Module, Avionics Module and Propulsion module (designed to operate with monopropellant hydrazine and gaseous nitrogen). The main payload of the satellite is COSI (COrea SAR Instrument) operating in X-band, and the secondary payload is AOPOD (Atmosphere Occultation and Precision Orbit Determination), which is composed of a dual frequency GPS receiver and a Laser Retro-Reflector Array (LRRA). Following necessary in-orbit tests, KOMPSAT-5 will conduct all-weather day-and-night repetitive observations of Earth surface, in particular, of Korean Peninsula, for five (5) years. KOMPSAT-5 primary mission is to provide High Resolution mode SAR images of one (1) m resolution, Standard mode SAR images of three (3) m resolution, and Wide Swath mode SAR images of twenty (20) m resolution. KOMPSAT-5 will provide the collected data to the KOMPSAT-5 Ground Segment located at KARI’s site in Daejeon, South Korea, which supports SAR image processing.